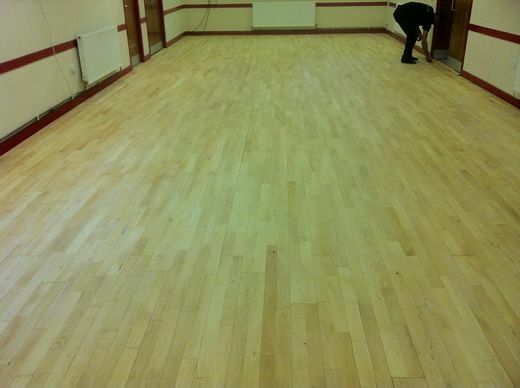 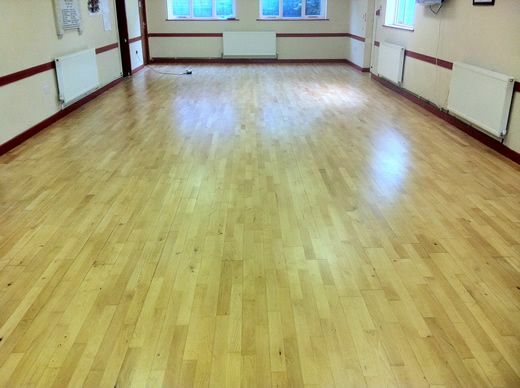 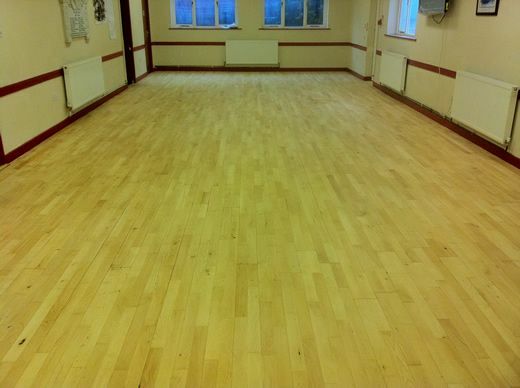 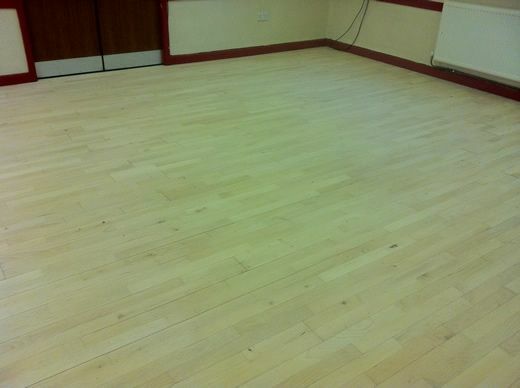 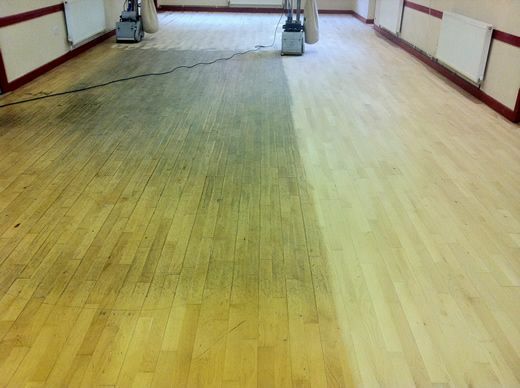 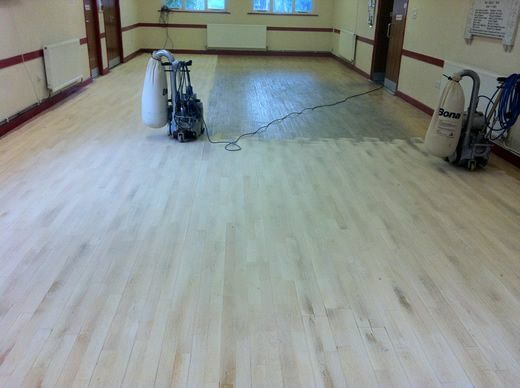 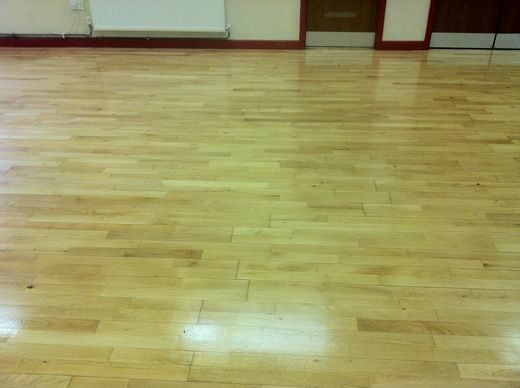 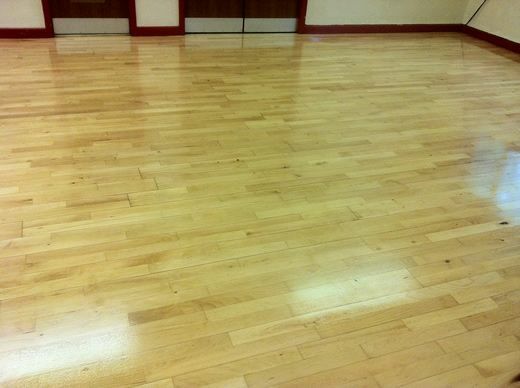 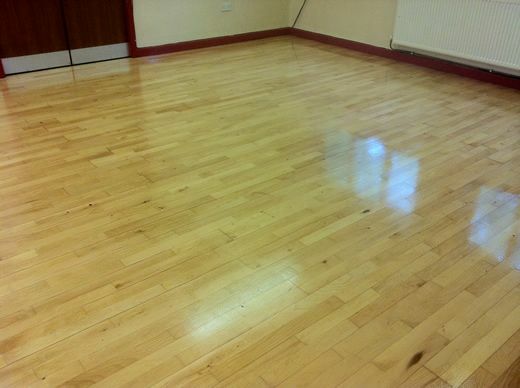 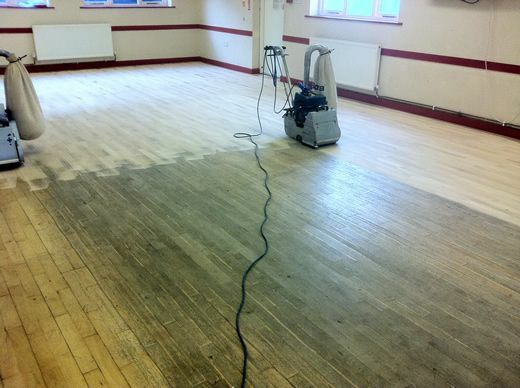 This photo set is from a completed Floor Sanding and Sealing project at the community centre in Ffynnongroyw, North Wales. 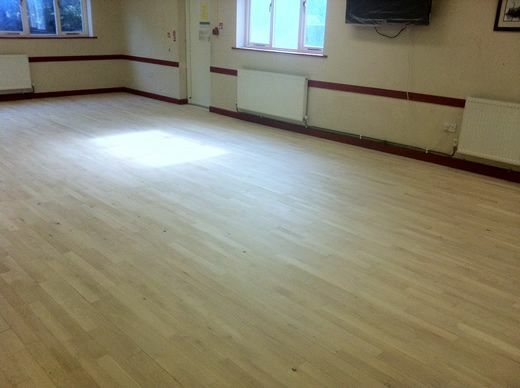 The project brief was to renovate the tired and almost worn out Beech Strip Flooring which had been in-situ for the past 19 years and was in need of a full refurbishment. 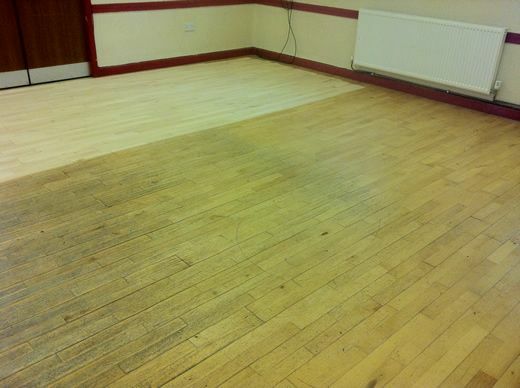 The Flooring material was in fact an excellent quality Junckers 2 strip Beech product, which although looking decidedly the worse for wear was soon to be looking almost as new. 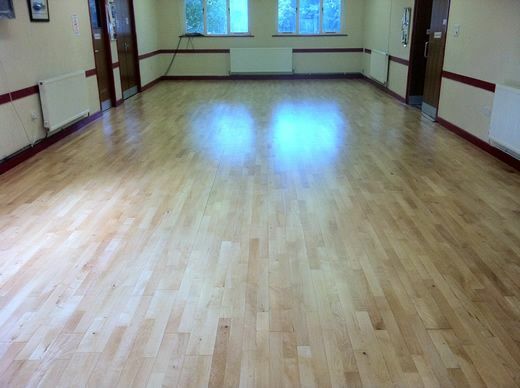 Our team worked hard for 2 full days to complete this 80m2 project in the specified timeframe, which we did with some aplomb. 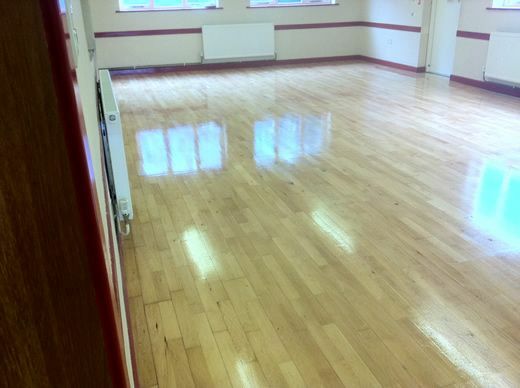 We used our standard commercial lacquer system on this project, which in this case was 1 x coat of Junckers Baseprime and 3 x coats of Junckers HP Sport which will give a good looking and hard wearing durable finish to this wooden floor surface. 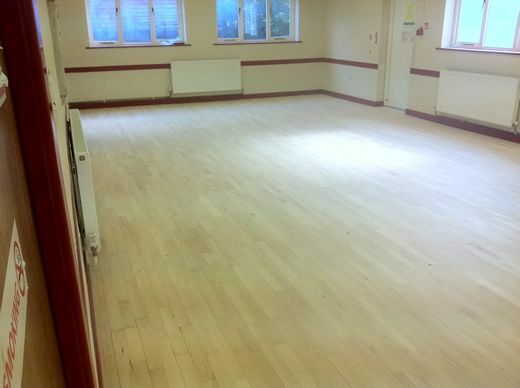 You can see this project in video format, If you click on the 'You Tube' icon on your right, you will be taken to our You Tube Channel, where you can view the video clips we took of this particular project in the 'before' and 'after' condition of the renovation. 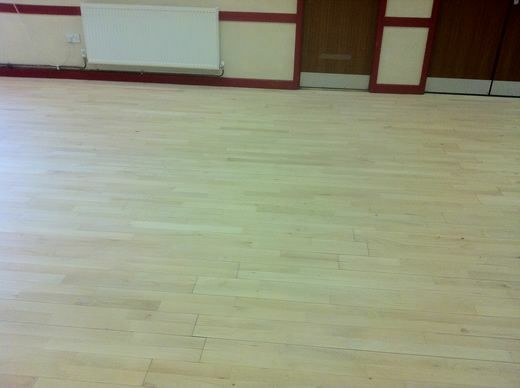 Completed Beech Strip Flooring Renovation / 16 pictures in this photo set.